As sweet as cinnamon: Susan Branch? or visited her beautiful website? we opened it with care, delighting in every minute. 1. Purse calender. 2. Artist prints. 3. Note cards. 4 charm pack of delightful fabrics. 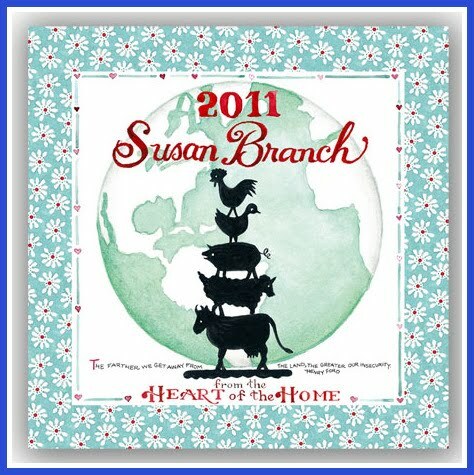 and this gorgeous 2011 Heart of the Home Calender. with just the most lovely writings and pictures. If you have never been to Susan's site do go for a visit HERE! but take your time, there are so many wonderful things to see and buy and enjoy..
Hope you enjoy the visit to Susan Branch studios. I LOVE Susan Branch. I've hung her calendars every year for years now. Love her 'Girlfriends' book too. Great gift for a kindred spirit. Love your blog! Her stuff is beautiful! Thanks for the tip! Lucky you! I also love Susan Branch things. It is a real treat to browse her site/catalog. 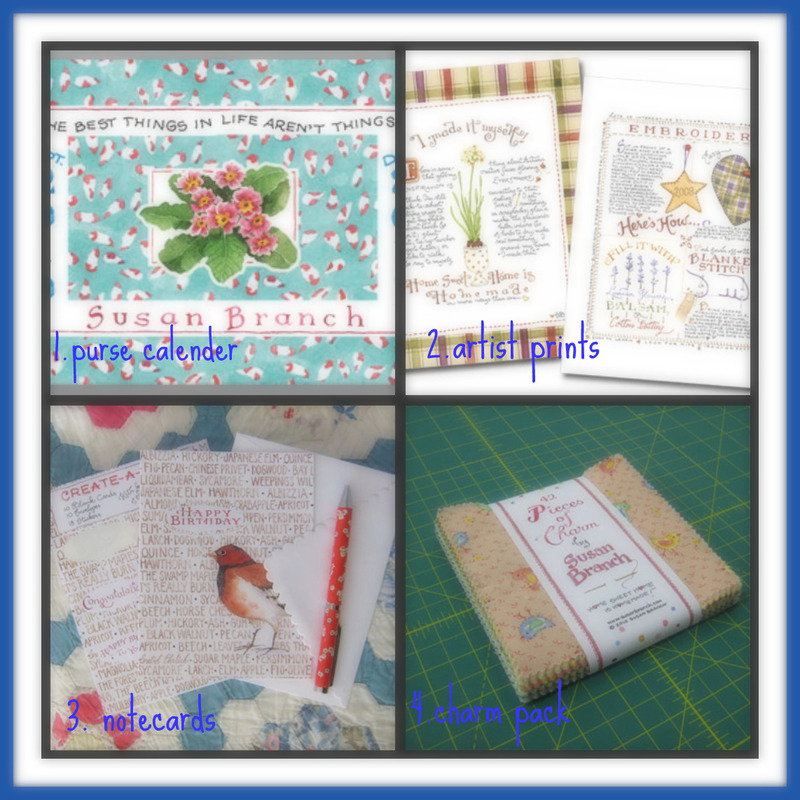 Love Susan Branch! Her work tugs at the heart strings! Thank you for sharing. I love Susan Branch and years ago remember her lovely illustrations in Country Living magazine and a few I cut out and framed as they were just so cute , I will definitely check out here site , thanks so much for sharing . How lovely!!! Yes, I'm familiar with her work and love it - she is such a talent! Enjoy your goodies, Dawn! what beautiful gifts you received from your friend Susan Branch. Will ckeck out her blog.Thanks for the link. 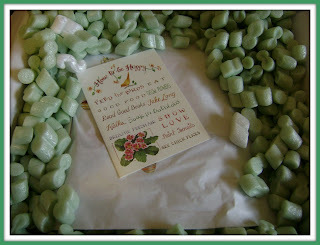 Wow Dawn - what beautiful goodies you received from Susan Branch. She is very kind as well as talented. Love her site. Enjoy. I've known of Susan Branch for many years. Her illustrated cookbooks are absolutely yummy. I also have/had what I believe is her first line of fabric from several years ago featuring pastels and teapots/cups. I too love Susan Branch and have been a follower for many years. Love her book Girlfriends. Thanks for posting about her.